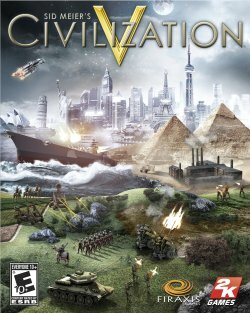 The biggest question going into playing Civilization V was: Is it Civ? All of the changes that had been announced (the hex-based map, city-states and units not being able to stack on top of each other in the same tile) were exciting, but felt like a departure from many of the hallmarks of the series. People who played the previous Civ games to death, including fan favorite Alpha Centauri, might think that lead designer Jon Shafer's innovations strayed too far from the foundations laid by Sid Meier, Brian Reynolds and Soren Johnson. Such misgivings proved unfounded as many people fell into Civ V like it was a black hole made of strategy. All of the basic elements of Civilization were intact: the exploration and expansion of the opening, transitioning to conflict or diplomacy in the mid-game, and finally the race to whatever victory condition the player tried to accomplish. The new elements for this fifth iteration of the series felt like another layer on top of an already delicious cake. Because of the combat changes, waging war in Civ V let the player direct and position his troops more like a battlefield general and interactions with the smaller city-states made the player feel as if he was playing in a historical simulation more than any other Civ. But perhaps the biggest reason that Civ V deserves to be Game of the Year is that it was harder to stop playing than any other game released in 2010. The player needs to manage so many threads and prioritize different goals that extricating yourself from the experience is hard to do without the sun reminding you that it's morning. And that's definitely Civ.